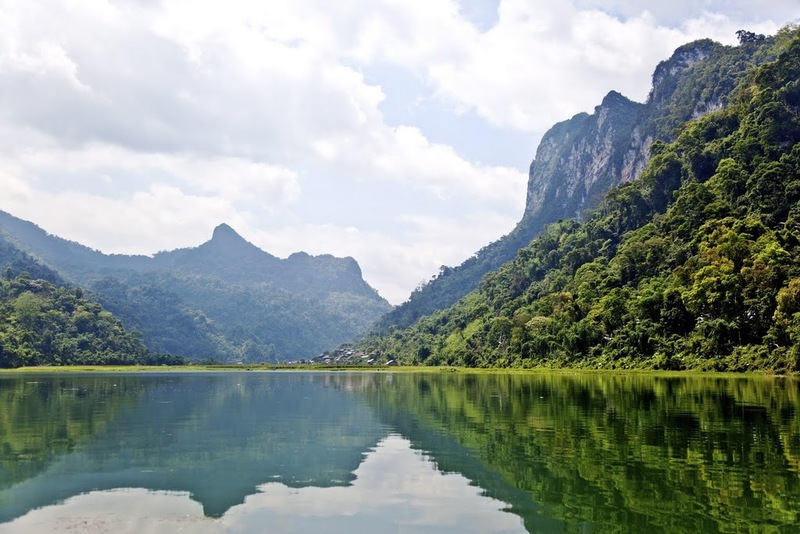 This one day adventure in the stunning setting of Ba Be National Park combines kayaking, boating, hiking and cycling to take you to the best sites in the park. 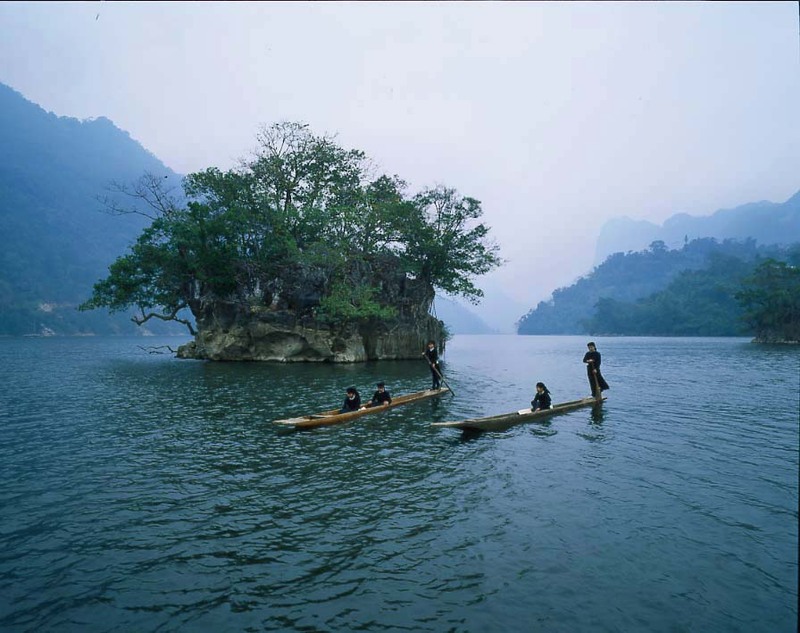 In just eight hours you can take visit a lake, a cave, a waterfall and head into the jungle whilst haveing the chance to meet some of the local people along the way. This trip starts at 08:30 from the Ba Be Tourism Centre. 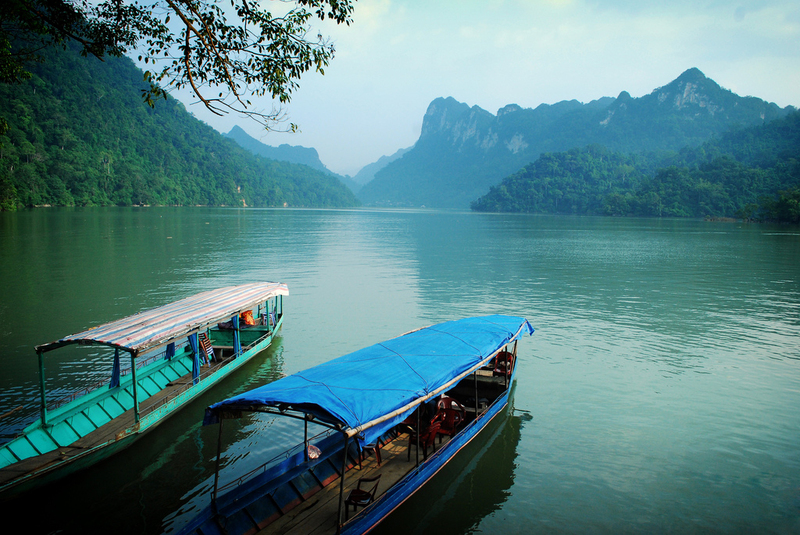 To start the day, you will take a boat ride around Ba Be Lake and along the Nang River until you reach the natural wonder of Puong Cave. The river has slowly eroded the karst, eventually breaking through to the other side and leaving behind an astonishing tunnel full of fascinating rock formations. 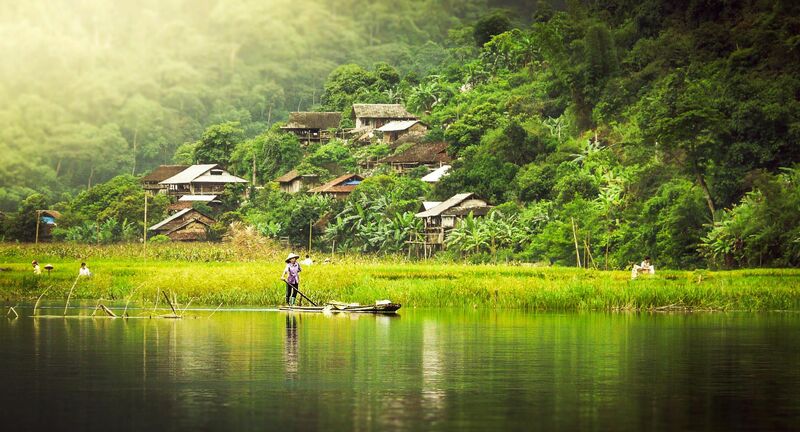 After exploring the cave, you will continue to Cam Ha Village where you can observe the peaceful life of the Tay people amongst the green rice fields before moving on the idyllic rural village, Hua Tang. You will have lunch in a local house alongside the river. After lunch, you will take a short walk (20 m) through the jungle to the picturesque site of Dau Dang Waterfalls. 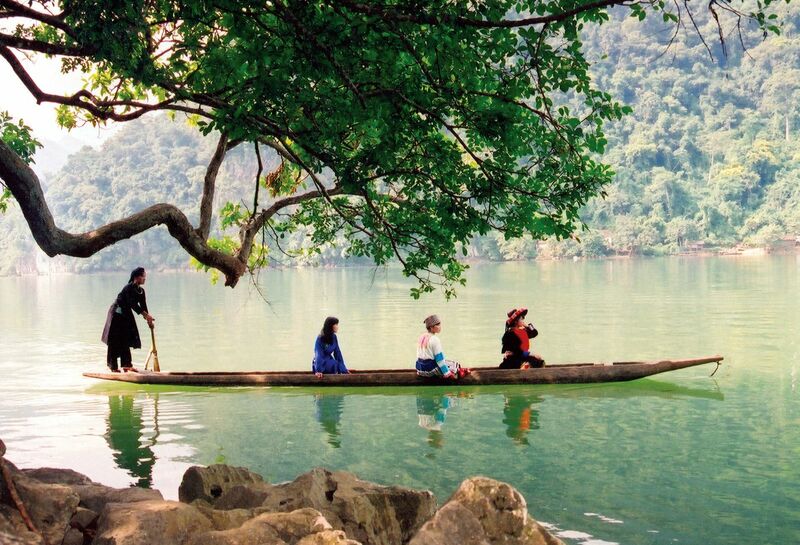 Back on the boat, on the return journey, you will visit An Ma Temple and follow the 3 km path through the rainforest to one of the best vantage points in Ba Be which offers panoramic views of Ba Be Lake. You will continue along the trail to arrive Ba Be Lake Harbour, where you may see locals transferring goods between motorbikes and boats to reach the remote villages. 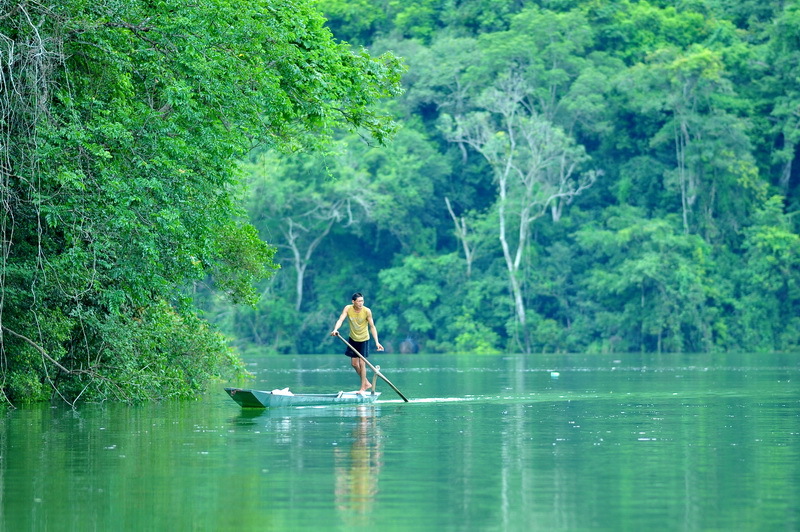 Next, you will also have the option of kayaking to the remote area of Widow Island on the Ba Be Lake for further exploration before cruising back to Ba Be Tourism Centre office at about 5:00 PM. Our experienced and friendly local Tour Guide(s), they are extremely knowledgeable about local cultures and the environment. + Experienced local English speaking guide. - Children under 4 years old are FOC. - Original passport, swimming suites, sunglasses, insect repellent.